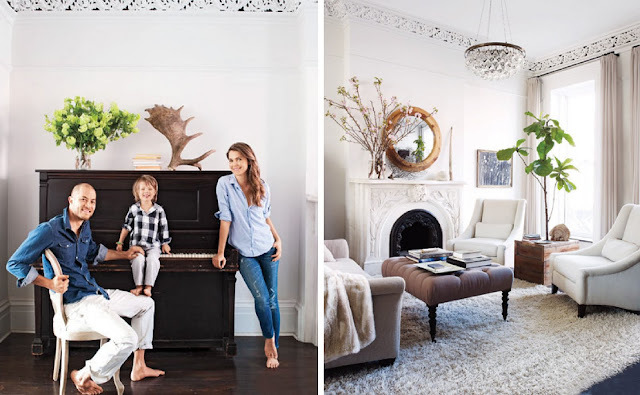 KERI RUSSELL, YOUR BROOKLYN HOME ROCKS MY SOCKS! I spotted Keri Russell's heart-stopping, drool-inducing Brooklyn brownstone on The City Sage, and am in awe of the amazing interiors....can I live here please??? Absolutely amazing....and it's styled where you can actually LIVE in it. This place is perfection. Love it. Also, I got a nice little mention in the "Best of Web" feature on interior decorating website Be @ Home. Check it out, my little loves, and thank you to Krista for including me! * Blogger deleted this post during their service outage, and I had to repost since it wasn't restored. Sorry to those who commented! Wow love her home! Especially her closet! I love her living room. Oh and isn't Kerri Russell just so chic?! Impossible. No way she manages to keep everything so pristine with a toddler. Unless she really is that perfect? Definitely a lovely home! Come and see me at the-wardrobe-stylist.blogspot.com.